A full inswinger traps the prolific Indian opener plumb in front. 7.6 overs: Rohit Sharma 7 (23) The stand-in captain gets another one moving in sharply, pushing the ball back to the bowler who takes it easily. 11.6 overs: Shubman Gill 9 (21) A good length delivery and a replay of the Sharma dismissal. Gill drives on the up, caught and bowled. 13.1 overs: Kedar Jadhav 1 (7) Another vicious inswinger traps the batsman in front. It's reviewed but could hardly be any more dead - crashing into middle stump, three-quarters up. 19.4 overs: Hardik Pandya 16 (20) Boult gets his fifth as Pandya can't deal with a short one, the ball brushing his gloves on the way through to Tom Latham behind the stumps. India's triple demolition of the Black Caps in their ODI series to date has followed a familiar theme, and it doesn't matter which member of the Black Caps is speaking, you hear the common lament – "India have put us under pressure." Where has this pressure been applied, you may ask? Well, whether it be Kane Williamson, Ross Taylor, Mitchell Santner, Trent Boult or Gary Stead talking, they'll all tell you the same thing – India's bowlers have put the Black Caps under pressure from the start with early wickets, and conversely, the Black Caps' opening bowlers haven't put India put pressure at all. As monotonous as the line may be, they're not wrong, and Taylor offered the bluntest assessment of how India have dominated the series so far. "We just haven't been up to it. If we're brutally honest, with both bat and ball we haven't been able to penetrate. We back ourselves to keep wickets in hand with the bat, we haven't been able to do that - India have put us under pressure for long periods of time and got wickets at crucial times. In New Zealand, if you're three or four down with still 25 overs to go, you're still a long way behind the game." The Black Caps are yet to have a moment where they have been in control of any of the three one-dayers, and if these are the days it never rains but it pours, then the Black Caps' despondency may not be over yet. 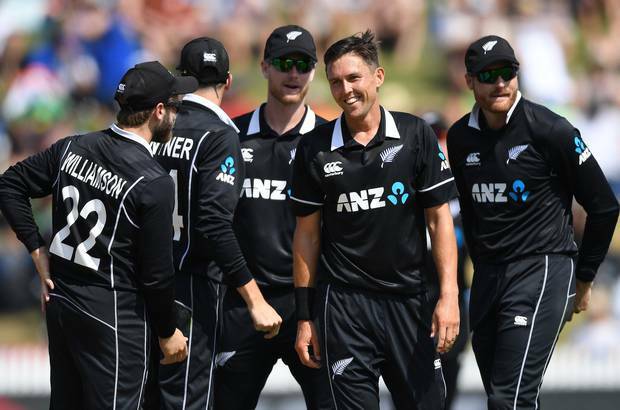 Not since 2005 have New Zealand lost four consecutive ODIs at home - as part of a seven-match losing streak at the hands of Australia – but despite minor improvements as the series has progressed, nothing to date has shown an indication that a sudden turnaround is on the cards.